We connect Black and Latinx tech talent with companies and fellow technologists committed to diversity, equity, and inclusion. Our student programming is focused on supporting emerging tech talent. The Code2040 Fellows Program is targeted at college- and graduate-level computer science students who are excited by the opportunity to spend a summer working with the best in the industry in San Francisco, Silicon Valley, and New York City. 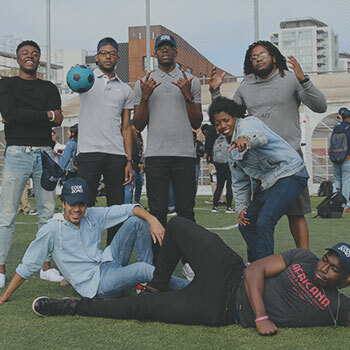 Tech Trek is an all-expenses paid, week-long program that brings together Black and Latinx computer science students from across the United States for deep peer-bonding, visits to Bay Area tech companies, and racial equity advocacy work. Through these programs and custom engagements, we work with tech companies from startups to industry leaders to craft unique, impactful partnerships and initiatives that will help them attract, hire, and retain diverse talent. See an overview of our programs below. This 10-week career accelerator works with Black and Latinx college-level computer science students from around the country in an intensive summer in San Francisco, Silicon Valley, and New York City. Students intern at top tech companies, participate in a series of career building session, and engage in racial equity advocacy work. Breaking into the tech sector requires not just skills, but the experience, confidence, and connections to apply them. 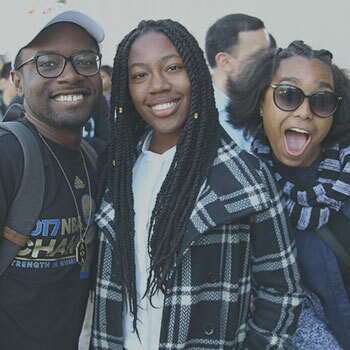 Tech Trek is an all-expenses paid, week-long program that brings together Black and Latinx computer science students from across the United States for deep peer-bonding and visits to tech companies.